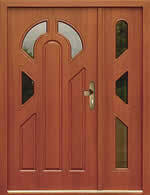 One of the key construction points for an accessible home is the width of doorways. A standard doorway opening can be anywhere in the range of 24 to 32 inches and while most wheelchairs can move through a 32 inch doorway opening if they face the doorway head on, the reality is that turning is usually involved and that means that the doorway opening needs to be 36 inches for ease of maneuverability. Many homeowners do not like the appearance of 36 inch doors and do not wish to invest in the added costs that larger doors represent. If at sometime in the future the homeowner is faced with remodeling their home to make it wheelchair accessible they are facing hefty remodeling costs. If you are building an addition or remodeling portions of your home you can construct doorways with future accessibility in mind, and the additional cost, if any, will be minimal. 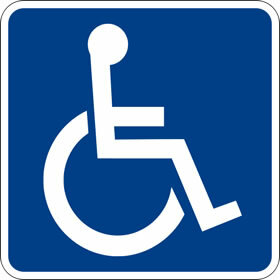 How is future doorway accessibility accomplished? The primary change is in the framing of doorways and positioning of switches and electrical receptacles. 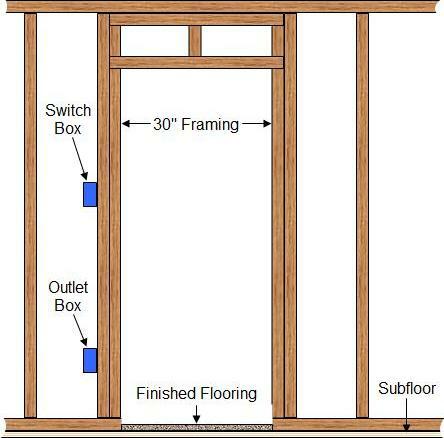 Figure 1 shows a doorway framed for a 30 inch door with a light switch and electrical receptacle. If you wanted to change the doorway to accommodate a 36 inch door you would have to rip out the current framing, reframe the doorway and reroute the electrical wires for the receptacle and light switch. In addition the floor would have to be finished where the door was widened. In 99% of the cases this would involve at least four trades; electrical, carpentry, drywall and paint. The flooring could involve an additional trade and it could be very costly to match the flooring that is in the hallway and the room that is being renovated. 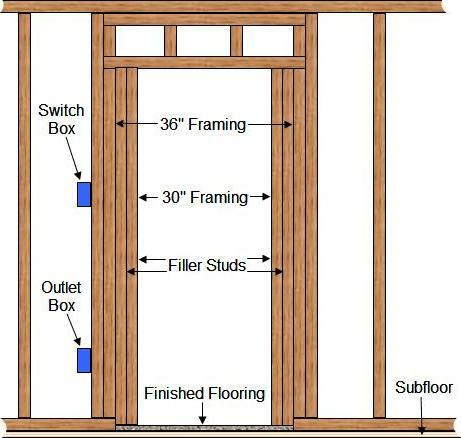 If the doorway was constructed and the electrical switch and receptacle placement was done in the manner shown in Figure 2, it would only be necessary to remove the additional filler studs. If done with care, there should be no damage to drywall, paint or any need to have an electrician. Nor is there any work necessary in order to repair or match the flooring (see note 1). In other words you have changed the project from four trades to one – saving a lot of time and expense. In fact there is no reason that a doorway constructed and framed in this manner could not be changed from a 30 inch door to a 36 inch door in 3 to 4 hours. Note 1: If the hallway and/or the renovated room have wall-to-wall carpeting there will be a need to install new carpeting to cover the widened doorway area. Note 2: Attach the filler studs with screws rather than nails. This will make removal of the filler studs much easier and will avoid any possible damage that could occur if attempting to remove nails. If you are framing a door in this manner, ensure that no air ducts, central vacuum outlets, plumbing, electrical wires or any other item runs in the area where the filler studs are located. The same principal can be used for exterior doors framing. It is best to use a sidelight panel in place of filler studs, as shown in Figure 3. This will avoid the need to change any exterior veneers, siding or cladding.